Come June 14, the M. Chinnaswamy Stadium in Bangalore will have the honour of playing host to one of the most significant occasions in the history of the game, as ever-improving Afghanistan take on India in their inaugural Test. Since its first Test in 1974-75, the 40,000-seater stadium has gone on to become a major centre, having hosted 22 Tests and providing the scene for some riveting action. 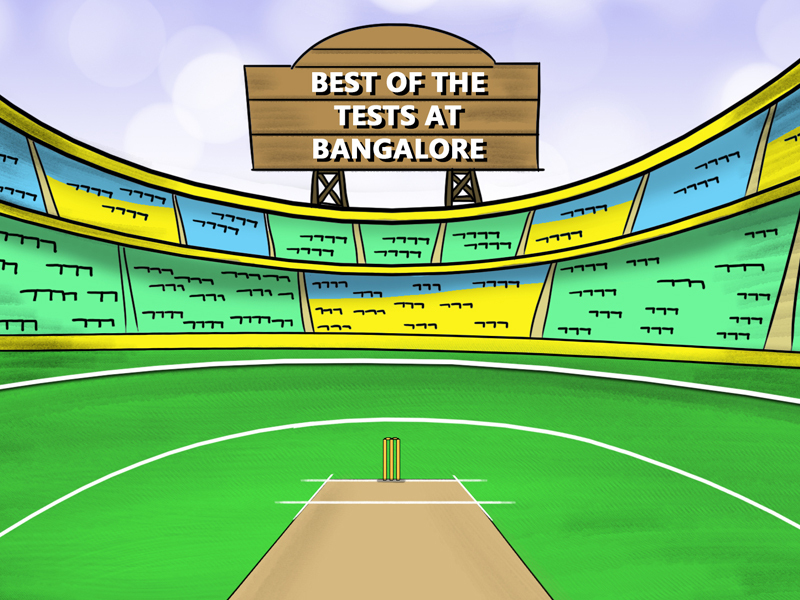 Here is a look back at five of the best Test matches played at the venue. A rank turner was prepared for this final Test, which followed four draws. After Imran Khan elected to bat, the Pakistani batting subsided to the left-arm spin of 21-year-old Maninder Singh, who took a career-best 7/27 to condemn the visitors to 116. India had a promising start in reply, and at 102/3, with Dilip Vengsarkar in his element, a sizeable lead seemed possible. 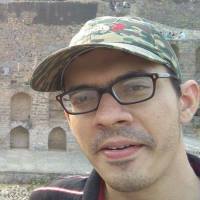 However, left-arm spinner Iqbal Qasim got rid of Mohammad Azharuddin to begin Pakistan’s comeback. India proceeded to lose their last seven wickets for just 43, restricting their lead to 29. Vengsarkar, with a fluent 50, was the only batsman who looked comfortable against the spin duo of Qasim (5/48) and off-spinner Tauseef Ahmed (5/54). Pakistan applied themselves better in the second attempt, and after an eventful first two days, which saw the fall of 12 and 13 wickets respectively, they were 155/5 and ahead by 112, aided by a gritty 47 from opener Ramiz Raja. Pakistan marched to 249, due to a 51-run ninth-wicket stand from gloveman Saleem Yousuf (41*) and Tauseef. Set 221 on the crumbling pitch, India slid to 80/4, even as Sunil Gavaskar, in his final Test, was playing a gem. Gavaskar kept Indian hopes alive on the fourth day, until he was eighth out at 180, to Qasim (4/73) for a masterly 96. The dogfight ended with Tauseef (4/85) nailing Roger Binny, giving Pakistan a thrilling 16-run win and their first series success in India. Eighteen years after their landmark series-clinching win, Pakistan, down 1-0 coming into this final Test, averted a series defeat with a top-drawer performance. After losing their openers with just seven on the board, Pakistan rode on a mammoth third-wicket stand of 324 between Younis Khan (267) and captain Inzamam-ul-Haq (184), who was playing his 100th Test, to deflate India. The best efforts of Harbhajan Singh (6/152) could not stop Pakistan from piling up a total of 570. India responded with 449 (Danish Kaneria 5/127), with Virender Sehwag striking a typically bellicose 201. The visitors upped the ante in the second innings, declaring at 261/2 late on the fourth day to leave India with a target of 383. Despite an opening stand of 87 between Gautam Gambhir and Sehwag, the batsmen failed to click as a unit, falling victim to the web spun by Shahid Afridi (3/13), Arshad Khan and Kaneria to lose by 214 runs with just six overs to spare. India retained the Border-Gavaskar Trophy with a seven-wicket win that gave them a sweep of the short two-Test series. Australia produced a strong batting display after electing to bat; their total of 478 revolved around a sixth-wicket stand of 149 between Marcus North (128) and wicketkeeper Tim Paine. India lost Sehwag and Rahul Dravid early in the innings, but this paved the way for a game-changing third-wicket alliance between Murali Vijay and Sachin Tendulkar. The pair batted for nearly 91 overs to add 308, before Vijay fell for a solid 139. Tendulkar went on to score 214, his sixth double ton in Tests, handing India a narrow lead of 17. India built on this advantage by bowling Australia out for 223 in the second innings, thus limiting the target to 207. Cheteshwar Pujara, on debut and batting at number three, showed maturity in steering the chase with a brisk 72. Quite aptly, it was Tendulkar who hit the winning runs in the final session. New Zealand improved substantially after being trounced by an innings in the first Test at Hyderabad, but could not prevent a five-wicket defeat. A breathtaking 113 from Ross Taylor helped New Zealand combat India’s spinners, led by Pragyan Ojha (5/99), and carried the total to a healthy 365. Pacemen Tim Southee and Doug Bracewell then reduced India to 80/4, before Virat Kohli (103), aided by fifties from Suresh Raina and captain MS Dhoni, staged a rescue act. Southee returned excellent figures of 7/64, the best by a New Zealander in India. Kohli’s effort took India to 353, after which New Zealand were dented by the off-spin of Ravichandran Ashwin, who snared 5/69 to give his side the momentum. In pursuit of 261, India slipped to 166/5 after a good start, with off-spinner Jeetan Patel taking three wickets. However, Kohli (51*) and Dhoni (48*) came to the fore again, sharing in an unbroken sixth-wicket partnership of 96. A haul of 12/70 from Steve O’Keefe had sent India crashing to a 333-run defeat within three days in the first Test at Pune, and hence, there was a lot at stake as the hosts strove to regain the Border-Gavaskar Trophy. India’s woes continued on the first day, as off-spinner Nathan Lyon captured 8/50, the best figures by a visiting bowler in India. India lost their last five wickets for just 15 runs to be dismissed for 189, with opener Lokesh Rahul (90) delivering a one-man show. Matt Renshaw (60) and Shaun Marsh (66) starred to give Australia a lead of 87, even as Ravindra Jadeja took 6/63 with his left-arm spin. Rahul added another 51 in the second innings, but at 120/4, Australia were on top. Pujara (92) and Ajinkya Rahane (52) got together at this point, and combined for a doughty fifth-wicket partnership worth 118 to thwart Australia’s charge. Led by pacer Josh Hazlewood (6/67), the bowlers fought back to keep the total to 274. Australia’s target was 188, and there were still five sessions left. But it was always going to be a difficult proposition on a highly testing pitch, and so it proved. Ashwin became the fourth bowler in the game to take at least six wickets in an innings, as he dismantled the Australian line-up en route to 6/41. No batsman reached 30, with captain Steve Smith’s 28 being the highest score. The end was tame - the last six wickets fell for 11 runs to seal a remarkable 75-run win and series recovery for India.